India on a train is a pretty good experience. Although, it is usually chaotic, crowded, and a bit rushy, still it is something that simply worth trying. One of the most ideal train journeys that travel enthusiasts are advised to embark is the train journey from Vijayawada to Vishakhapatnam. Filled with different and since both the places are two popular holiday destinations, a journey between the towns is a simply fun. Trains are the lifelines of the country and connect the whole nation that has the total area of 3,287,263 square kilometres. It is one of the world’s largest employers as well as the largest railway organizations. Without doubt it takes a lot of efforts, masses of people, use of the modern techniques as well as learning from the experiences to run and maintain such a huge system. The good thing is that compared to just a couple of decades today, the Indian Railways has come miles in order to become a more comfortable, convenient, and satisfactory mode of transportation. It is faster and more amenities equipped, and the best part is in its whole time period of development, there is very minimal raise in the fares of train tickets, when there is definitely a steep rise in the fares of flights and buses. That being said, travelling in a train in India is something that has to do, if one wants to relish the wholesome India. Experts often advise travelling on a train if one is a travel enthusiast. The cries of chai walas, hawkers visiting your carriage at regular time intervals, the interesting fellow passengers with whom you can get engaged into some engaging talk, satisfactory hygiene, etc. all constitute the general scene in the trains and are allures that simply appeal, especially to a first time traveler. While there are some good train journeys, there also exist some train journeys that are absolutely fun. One such train journey is discussed below. A ride on the Vijayawada to Vishakhapatnam train is a-must if you seek to relish south India at its best. Vijayawada is a very old city where remnants from the pre-historic era were discovered. Set on the banks of Krishna River and about 257 k.m. from Hyderabad, it is a place that is full of various architectural marvels and a place blessed in abundance by Mother Nature. It is home to the iconic Prakasam Barrage, which simply steals the show. Besides, it also hosts the historic Kondapalli Fort, the beautiful Bhavani Island, the nature-replete Rajiv Gandhi National Park, where one can take a quick respite from the madness of the cities, and a couple of more attractions to include. In addition to the quaint attractions, the place also has a long tradition of cotton weaving, gold covering, fabric painting, and fruit processing, which today also serve as the major allures. It might be a good thing to spend a couple of days here before embarking on the train journey. 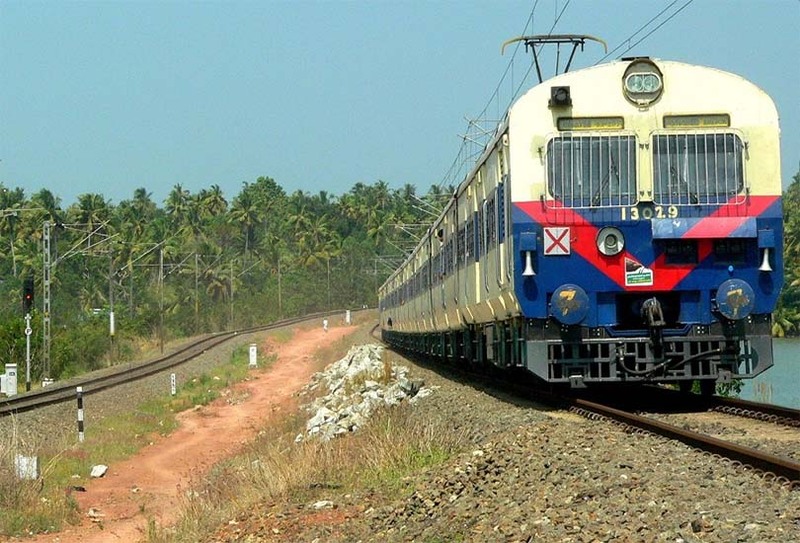 A train journey between Vijayawada and Vishakhapatnam is like every other typical train ride. From booking the tickets to checking PNR status, to going through the hassle at the railway station, to actually travelling on the train, there will be moments when you will enjoy your journey. Vishakhapatnam, on the other hand is a large port city on the southeastern coast of the country. It is thriving and busy, yet a tranquil town with its own character and a place where nature resides at its best. Home to some of the most beautiful beaches in the country, it is often called the “jewel of the east coast”. Rich culture, tradition, music, festivals, etc. are some of the main allures of the place.